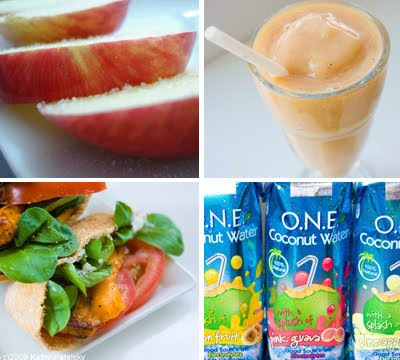 Back to School Series Part 6: Sporty Snacks and Sips! Coconut Water has been called 'natures sports drink'. And it is so true! One serving has more potassium than a banana. Potassium is an important electrolyte for hydration. CW is a natural isotonic beverage. It has the same level of electrolytic balance as we have in our blood. Fun Fact: It can even be used to replace blood plasma in emergencies. 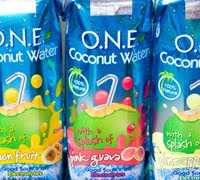 Coconut water us an outstanding beverage for pre, during or post workout hydration. Salty snacks and after school sports go hand in hand. (You lose a lot of sodium when you sweat!) You know the kids are going to grab chips, pretzels and anything that's salty and high in carbohydrates. 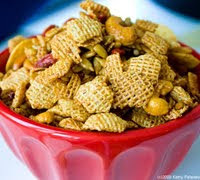 I remember the classic 'Chex party mix' always being a big hit at sports events. So I decided to amp up the nutrition level of this the 'hexagon-shaped' party mix. It's healthier than the original and even more delicious. Great for pre or post workout munching. 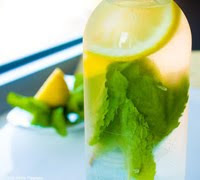 My perfect during workout water-booster is this combo: mint and lemon. It's so simple, yet so divine. It's a must try for your water bottle. Grapes are high in potassium and high in easily accessible carbohydratess for an instant energy boost. 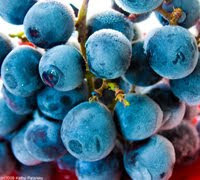 Snack on these frozen grapes before your workout and they will give you a nice natural sugar-high from Mother Nature. Plus the frozen sorbet-like texture is great for cooling you off on a hot day. I call them 'natures BonBon'. 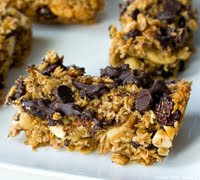 Granola bars are fabulous for athletes. They contain simple sugars for an instant energy boost, yet the healthy fat from the nuts, and fiber from the grains provides for long term energy. The fat and fiber acts to slow the digestion of the carbohydrate ingredients. Plus they have a nice amount of protein to make the perfect snack trio: carbs, fat and protein. And because they are relatively easy to digest, you can eat them at anytime of your workout and not feel weighed down. Salt! Fruit! It's a two-in-one snack that you've probably never tried! Instead of munching salty chips after a long hard workout, try salty fruit. 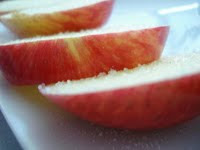 A few pinches of sea salt on apple slices is a delicious and healthy way to get that salt you crave, without loading up on unhealthy fats or simple carbs. (Say on a big bag of white potato chips.) Salty Apples are excellent as an after-workout snack. This divine post-workout fruit salad has it all! Protein from the nuts, healthy fats from the avocados, electrolytes and carbs from the fruit, and fiber from everything. Plus it's hydrating and did I mention delicious. Fruit is an excellent source of electrolytes like potassium. 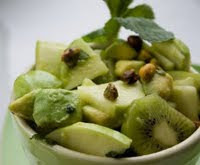 Bananas, melons and kiwis are all high in potassium. So when you workout, try turning to fruit to replenish your nutrients-naturally. I love fruit as a pre or post workout snack. 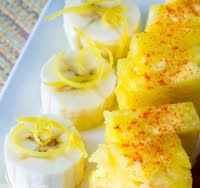 Bananas are high in potassium and a fabulous fruit for pre or post munching. 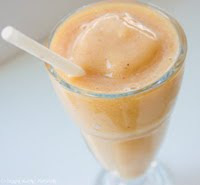 Well why not end your workout with an amazing banana smoothie! This specific recipe contains other ingredients to calm you tummy down, but I think it is great for a post-exercise 'calm down' - Cool down. Here is a yummy recipe for a post workout meal. 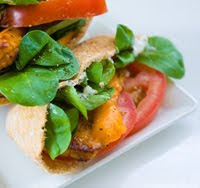 It's high in protein from the tempeh and high in fiber from the whole wheat pita and veggies. Plus the mache lettuce and tomato slices are high in veggie nutrients like antioxidants. It's even light enough to eat a few hours before a big game too. Oh and that vegan cheddar cheese makes the carb/protein/fat trio in sync.